We’re Flooded! Can You Help? This week, Furkids’ TransFUR Coalition transported Hurricane Florence evacuees, taking in as many as our shelter and current foster capacity allows. On top of that we have numerous summer litter kittens - so we’re awash in a wave of cute, adoptable, adorable kittens, cats, puppies and dogs right now! As Hurricane Florence overstays her welcome in the Carolinas, we are working hard to recruit fosters and match families with pets in need of loving forever homes. 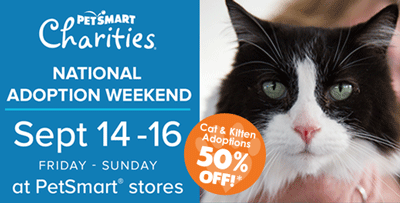 This means we need your help – with fosters, donations - and especially ADOPTIONS THIS WEEKEND. ADOPT NOW - A lot of people wait for the right time to adopt. NOW is the right time for the animals. NOW is when it’s most needed. And NOW is when you're going to do the most good. Adopt a Kitten or Cat! Adopt a Hurricane Florence Pup! 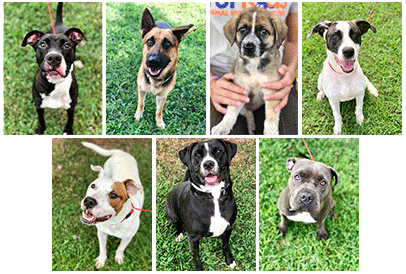 Please join us in giving a big Georgia welcome to these seven pups from South Carolina! These guys traveled via our TransFUR Coalition van from coastal shelters in Charlestown and Myrtle Beach ahead of Hurricane Florence, via Greenville to Atlanta. Since our TransFUR van was already prepped for our cancelled cat transport, we were able to quickly jump into action. They arrived at Furkids late last Wednesday night and are all settling in nicely!